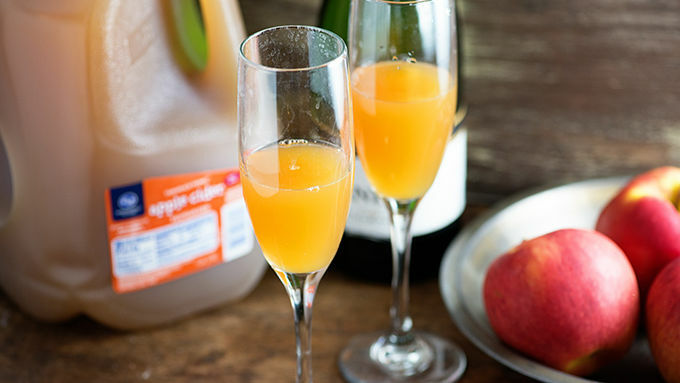 Pour 4 ounces apple cider into each champagne glass. Top with 4 ounces champagne. Garnish with apple slices, if desired. I have a confession to make. I am not much of a day drinker. I want to be. It sounds like a good time. But, there is just something about daylight that makes me not so thirsty. Maybe it’s just the fear of what the next morning will feel like if I start drinking before dark. In any case, I do enjoy a good mimosa with brunch every now and then. They’re refreshing and crispy and bubbly. What’s not to love? This time of year is meant for apple cider, not orange juice, though. 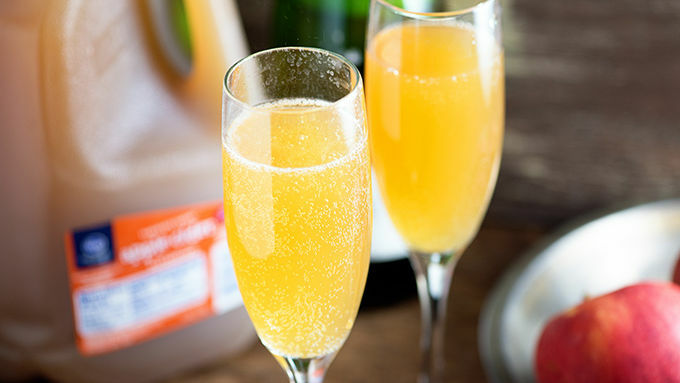 Let’s change up the classic mimosa, shall we? These somehow manage to be even better than the original. 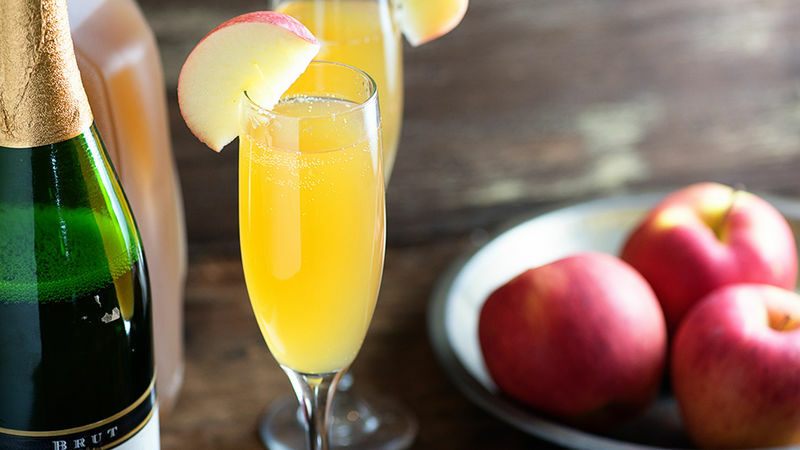 Like a bubbly apple cider soda—just lovely.